Von Trier Daring Scorsese To Remake "Taxi Driver" With "Obstructions"? In 2003, Lars Von Trier challenged his friend and mentor, Jorgen Leth, to remake his seminal opus, "The Perfect Human," five times, using a different set of "obstructions" each time. The result was "The Five Obstructions," semi-documentary chronicling of the process. Now comes word Von Trier has convinced Martin Scorsese to be subjected to five new obstructions, reported Variety. 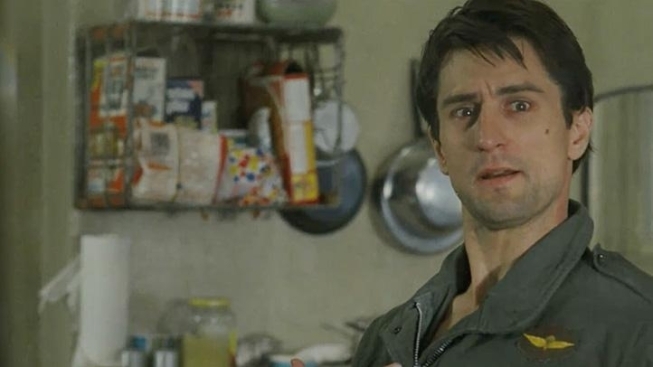 And though it hasn't been formally announced, it appears that Scorsese's "Taxi Driver" is the film that will be "obstructed," according to Screen Daily. We love the idea of Scorsese going back to confront his own past as a film maker. As brilliant as "Taxi Driver" is, seeing how Scorsese might re-frame it is too intriguing to pass up. But if you're dead against it, check out the new Blu-ray version. But before that can happen, Scorsese has to finish work on "Hugo Cabret," which is due in November. And he may also shoot "Silence," due in 2012, before tackling his obstructions. As for Von Trier, he's in competition at Cannes right now, with his two-Earths, end of the world drama "Melancholia," starring Kirsten Dunst.